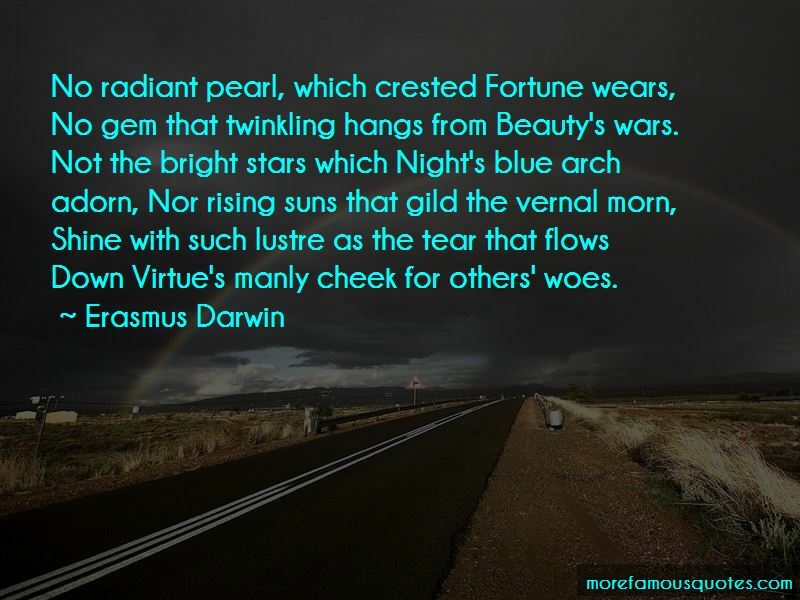 Enjoy the top 37 famous quotes, sayings and quotations by Erasmus Darwin. 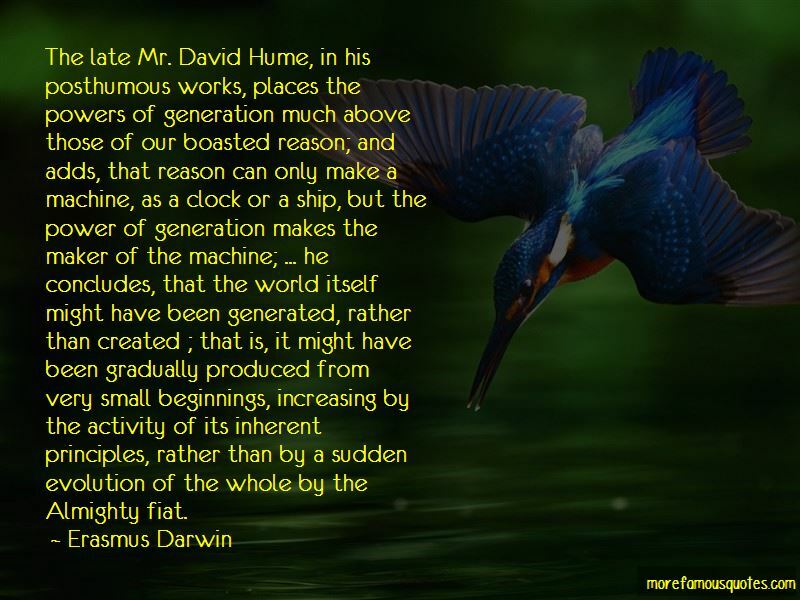 The late Mr. David Hume, in his posthumous works, places the powers of generation much above those of our boasted reason; and adds, that reason can only make a machine, as a clock or a ship, but the power of generation makes the maker of the machine; ... he concludes, that the world itself might have been generated, rather than created ; that is, it might have been gradually produced from very small beginnings, increasing by the activity of its inherent principles, rather than by a sudden evolution of the whole by the Almighty fiat. Would each o'erpeople ocean, air, and earth. And Earth's vast surface kindles, as it rolls! It is often hazardous to marry an heiress, as she is not unfrequently the last of a diseased family. There are some modern practitioners, who declaim against medical theory in general, not considering that to think is to theorize; and that no one can direct a method of cure to a person labouring under disease, without thinking, that is, without theorizing; and happy therefore is the patient, whose physician possesses the best theory. A fool, Mr, Edgeworth, is one who has never made an experiment. Reason but skins the wound, which is perpetually liable to fester again. Some philosophers have been of opinion that our immortal part acquires during this life certain habits of action or of sentiment, which become forever indissoluble, continuing after death in a future state of existence ... I would apply this ingenious idea to the generation, or production of the embryon, or new animal, which partakes so much of the form and propensities of the parent. We hence acquire this sublime and interesting idea; that all the calcareous mountains in the world, and all the strata of clay, coal, marl, sand, and iron, which are incumbent on them, are MONUMENTS OF THE PAST FELICITY OF ORGANIZED NATURE! 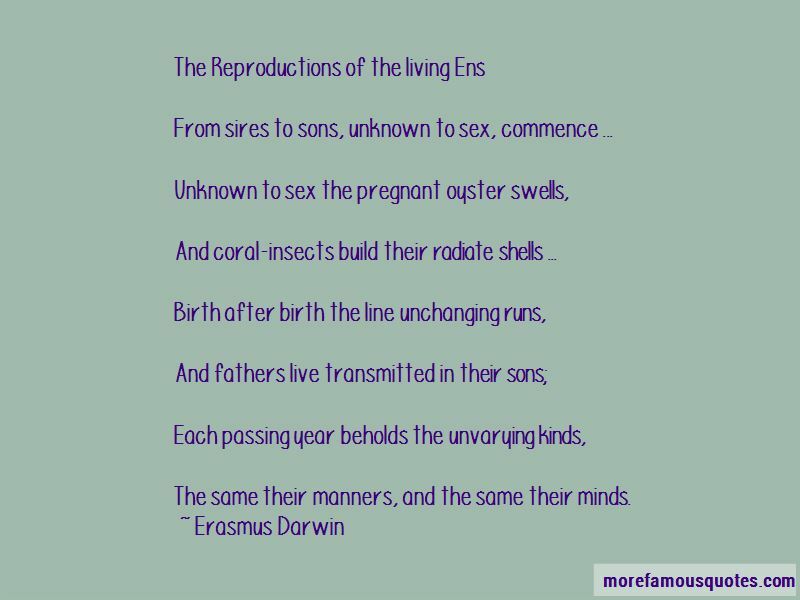 Want to see more pictures of Erasmus Darwin quotes? 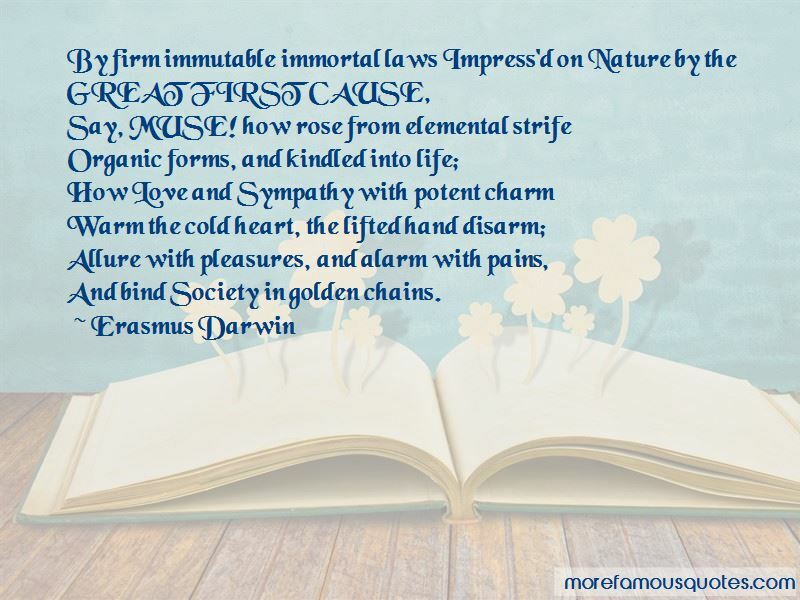 Click on image of Erasmus Darwin quotes to view full size.